The family-owned law firm of Tenn And Tenn, P.A. is growing with the addition of its newest attorney, Annmarie A. Tenn. Tenn joins her siblings in one of the area’s top-ranked law firms and focuses her practice on business disputes, personal injury, and marital cases. 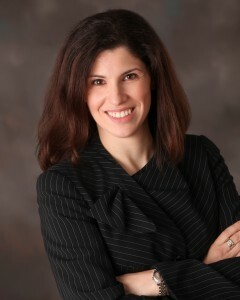 Tenn is quick to emphasize that Annmarie joins the firm with top-notch experience. Annmarie graduated from Harvard Law School in 2003, where she served as the co-Editor-in-Chief of the Harvard Women’s Law Journal. She served as a law clerk to the former Chief Justice of the New Hampshire Supreme Court. Annmarie also spent the better part of a decade working her way to a senior position in the litigation department of Ropes & Gray LLP in Boston, Massachusetts, a premier national law firm. Tenn And Tenn, P.A. is a NH boutique litigation firm providing legal representation for clients involved in personal injury cases, drivers accused of DUI, and anyone struggling with a divorce.